Hapymaher –– Now Available for Pre-Order! 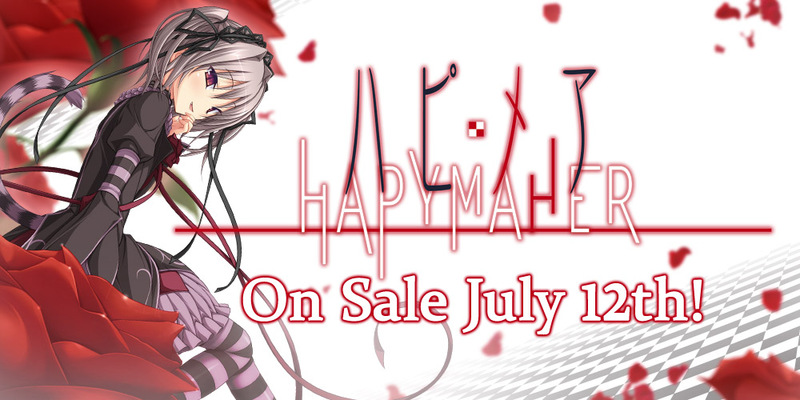 Hapymaher is now available for pre-order on MangaGamer.com! On sale July 12th! Starting after a certain accident, Tohru Naitou began to have nothing but lucid dreams. Sleep normally exists in order to rest peacefully. But he can no longer rest whether he’s asleep or awake. He can only rest when he collapses from utter exhaustion. He has a childhood friend who supports him and calls him ‘Nii-san,’ Saki, a sempai from his science club who is amused by his awkward way of living, Yayoi, and an underclassman who sings in front of the station, Keiko, who calls him a weird sempai. And tonight, Tohru dreams again. But this dream is different from those that came before. « Umineko Answer Arcs Physical Edition –– Now Available for Pre-Order! Btw, Hapymaher -Fragmentation Dream- when?! I’ll be comparing ChronoClock to this, I pretty much want to see if the game engine issues I’m having are because of Purple software or Sekai project. Not really, if compatibility for newer Windows versions isn’t ensured. Porting a game to Windows 10 could very well conflict with compatibility. It is unreasonable to expect a game from the 90’s to be ported to those systems, but current games or even late into Windows 7 definitely should be compatible with newer versions, let alone Linux. Sucking a publisher’s D doesn’t remove said publisher’s responsibility from the products, he localizes. Only ChronoClock gave me issues. Purple software uses a custom engine just for the products they offer it may/may not have been updated for Windows 7 or 10 who knows… That’s why I’m concerned. If MangaGamer had said it was ported to Unity then I’d know from that statement alone that the engine had issues while being ported and therefore it’s Purple software who’s at fault for why ChronoClock had engine issues. Why does this one work if ChronoClock didn’t? 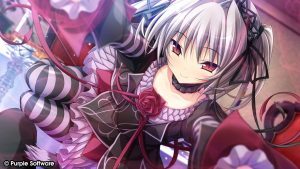 Who’s at fault Sekai project or Purple software? Just because it worked on Windows 7 doesn’t mean it will work on Windows 10. For example AppLocale doesn’t work on Windows 10 while it did on Windows 7. “Sucking a publisher’s D doesn’t remove said publisher’s responsibility from the products, he localizes.” In ChronoClocks case it sounded like the developer didn’t want to help the publisher during the porting process but that could’ve been false accusations from the publisher IDK. Hi there! For what it’s worth, I had absolutely no issues running our beta or release builds of Hapymaher on several different systems. So I can say with absolute certainty that it *will* work on Win 10. Thanks for that, Sekai project just irritates me in ways that lead me say those kinds of things. Is this structured like Chrono Clock, where all the H scenes are bonuses after clearing the route? Or are they spread out throughout the story? They are pretty well integrated into the story. The theme is dreams so getting a little booty is a perfectly normal dream.